As much as I love a slice of apple pie or a chewy chocolate chip cookie, I’m always looking for slightly healthier ways to satisfy my sweet tooth. 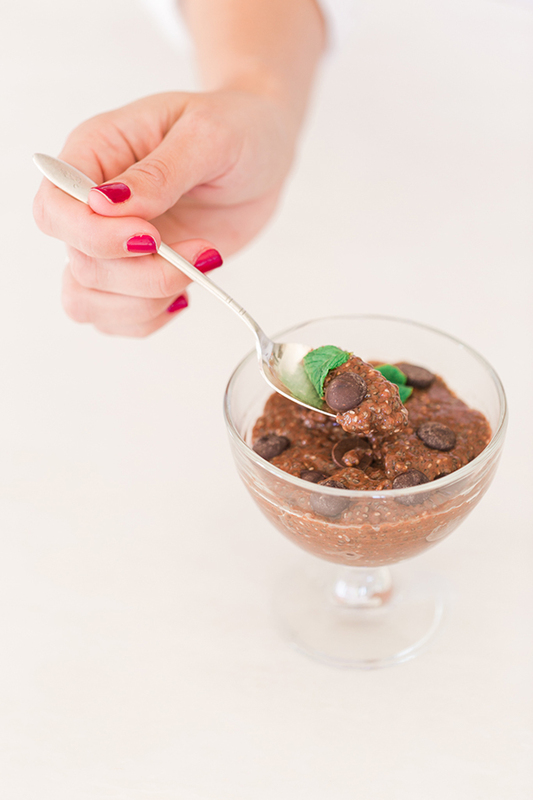 From these no-bake cookie dough bites to homemade guilt-free goji berry chocolate bars, dessert recipes without refined sugar are my specialty. 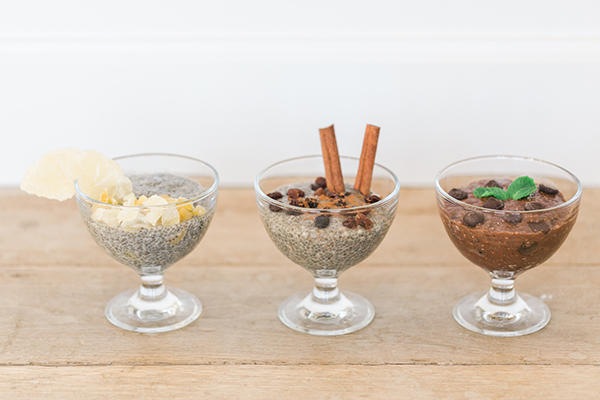 Enter: chia seed pudding. I first discovered this creamy treat a few years back, and I’ve been experimenting with different flavor combos ever since. 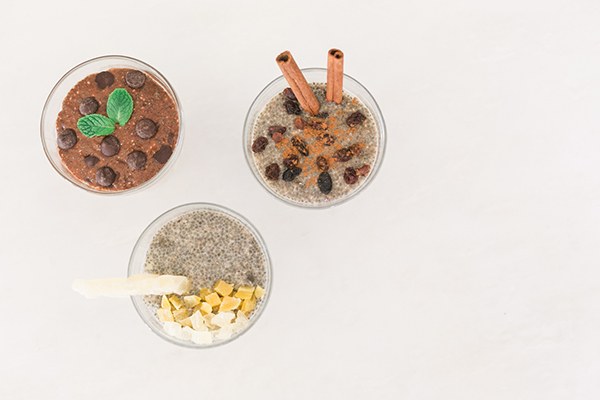 As you might remember from this guide to superfoods, chia literally means “strength” in Mayan. These tiny seeds can absorb 12 times their weight in water, helping you stay hydrated and retain electrolytes. Chia seeds are also full of fiber, protein, magnesium, potassium, calcium, and omega-3 fatty acids. They definitely pack a mean nutritional punch! 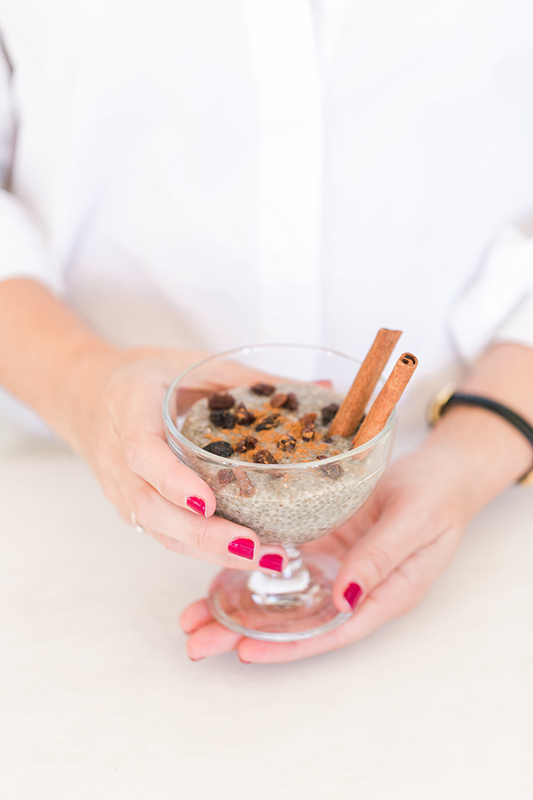 The fact that chia seeds can absorb so much liquid also means that they take on a pudding-like consistency when you mix in a little almond or coconut milk. It’s so delicious, and so easy to make. 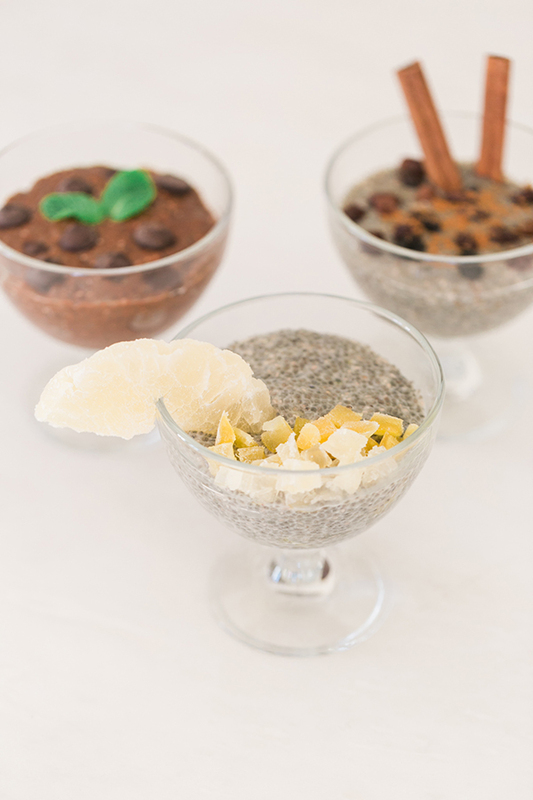 Three of my very favorite chia pudding flavors are below. These recipes are for a single serving, but you can easily double them if you’ll be sharing with a friend (or if you want extra for yourself!). Check them out below, and let me know which one you end up liking best! The instructions are the same for any of the three pudding flavors above. Simply mix all ingredients in an airtight container, cover, and leave in the fridge for at least 2 hours or overnight. The longer you leave the pudding in, the thicker it will get. Once the pudding has reached the desired consistency, give it another good stir to mix in any heavier ingredients that may have settled to the bottom. Enjoy! Which flavor of pudding are you going to try first?